About 80% of deaths associated with boating, canoeing, or kayaking adventures are from drowning. People lose their lives in the waters not because they don’t know how to operate their vessels but simply because they are not wearing life jackets. 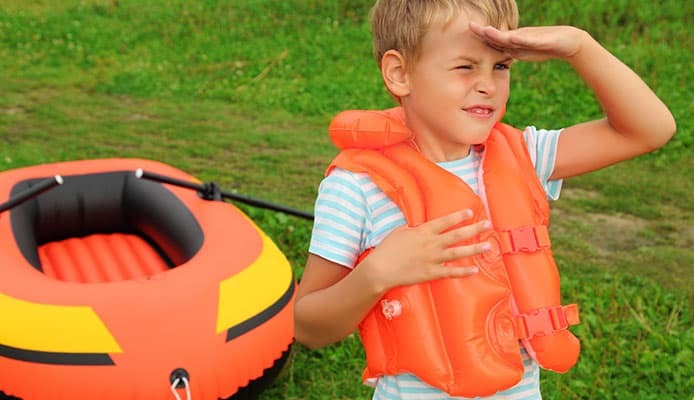 One of the most emphasized boating safety rules is not only having life jackets for every person on board but also making sure that everyone has theirs on when the watercraft is underway. But some boaters say they don’t like wearing their life jackets because they are too bulky or too hot. Well, guess what? You can use an inflatable personal floatation device (PFD) instead. Most PFDs now offer U.S. coast guard approved life jackets that are small and lightweight. Some resemble a pair of suspenders while others look like belt packs or small fanny packs. However, inflatable PFDs must meet U.S. coast guard requirements. Whether you fanny suspenders or belt packs, your PFD must comply with these laws to keep you safe. So, exactly what is a requirement for PFDs? Good question, but before we get to that, let’s find out how inflatable PFDs work. How Does An Inflatable PFD Work? Modern inflatable PFDs come with both manual and automatic inflation feature. The concept used here is a little different from the ordinary life jacket in that the latter works by trapping air to keep you afloat. Inflatable PFDs on the other hand come with a cylinder full of compressed gas connected to a small firing pin. What happens is that when your boat, canoe, or kayak flips and the mechanism is submerged, the fire pin is engaged causing the compressed gas to rapidly inflate the floatation bladder. The bladder expands over the fabric housing worn around the neck and over the shoulders providing perfect buoyancy. If the fire pin does not activate automatically when you get immersed into the water, you can use the manual inflation cord to start the firing. Most PFDs also consist of a tube connected to the buoyancy bladder, which you can use to blow air or inflate the bladder to stay afloat if the automatic activation is faulty or the air gradually leaks after inflation. PFDs vary in buoyancy. As such, they are classified into type I, II, III, and IV. Type one PFDs are designed for offshore use. If you fall unconscious after a watercraft accident these life vests will turn you on your back so your face stays out of the water. Since this type of PFDs has the greatest buoyancy, it would be the most appropriate for open, remote, or rough water, where you are not likely to be rescued quickly. Most type Is come in bright colors to make the rescue process easier. The only disadvantage of these PFDs is that they are bulky. Type II, III, and IV will be appropriate for calm and peaceful waters. If you are learning how to kayak, for instance, and want to keep things strictly at the shore where there is a high chance of quick rescue, then you may consider these PFDs. They are more comfy and less bulky than type I. However, they do not provide extended survival in the water. But exactly which of the following is a legal requirement for PFDs used in kayaks? Coast guard requirements for PFDs cover all types of floatation devices regardless of what watercraft they are used with. It doesn’t matter whether you are in a cruise ship, a kayak or a surfboard – your PFD must meet all the requirements for US coast guard safety. When choosing an inflatable PFD for your watersports, it is important to go for the safest and most comfortable option and one that will meet your boating needs. It is also crucial that your PFD complies with U.S. coast guard requirements. Always make sure to read the U.S. coast guard label inside the PFD to know the instructions and allowable requirements for use for the specific PFD you are about to invest in. So, which of the following is a legal requirement for PFDs? Honestly, any point we are going to list here is something worth noting when heading out for your boating or kayaking trip. Here are the U.S. coast guard requirements for inflatable PFDs. Your PFD must be U.S. coast guard approved. This will be indicated on the label inside your device. There are previous models that are not approved and while these may still be circulating in the market, it is important to compare with the newer ones to see what features are there and what is lacking. If you haven’t bought your PFD already, we would recommend that you go for the newer models, as these are all USCG approved and chances are good they will contain more and better features than the older models. The PFD must fit you snuggly. Check the label to find out if the vest you are about to invest in is the right size for you. If there will be any children on board, make sure to get the proper sizes for them too. The gas cylinder of the device must be full and the firing pin must show a green indicator as a sign that the PFD is armed and set for work. Your device must be working properly. Inspect the inflating device, the inflation tube, the manual inflation cord, and the gas bladder to make sure that they are in perfect working condition before you set out. You must have your PFD on to meet the coast guard requirements for PFD carriage. Once you are already submerged, it will be very difficult for you to wear it, so always have it on to increase your chances of coming out of the water alive. It is worth noting that inflatable PFDs don’t meet the coast guard requirements for usage by people below the age of sixteen. This is because PFDs are somehow complex to use and these individuals may not know how to inflate the device manually in the event the auto inflation fails. PFDs may also not be the best buoyancy devices for non-swimmers. Although this is not a coast guard requirement, people who are learning how to swim would be better off with life jackets than PFDs especially if they are not able to hold their breath for some time to perform the manual inflation. 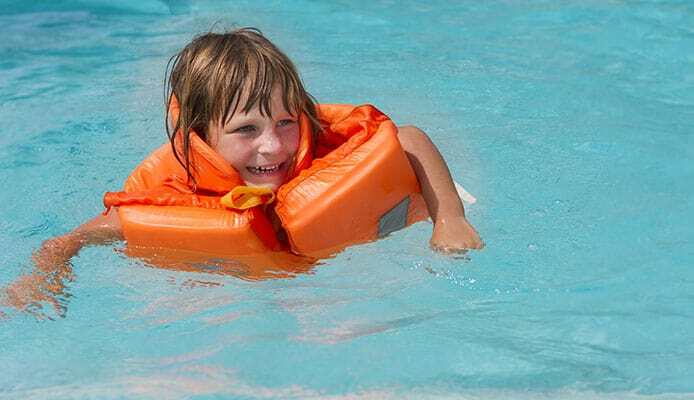 Regularly test your PFD’s floating ability in a swimming pool or shallow waters to make sure it still got it. Inspect it frequently for tears and rips, insecure zippers and straps, weakened or discolored material, and washed out labels. Fix these before your next trip. Check the gas cylinder for leaks and make sure the manual inflation works perfectly. Use the owner’s manual to maintain the inflatable part of your PFD. If you were wondering what is a requirement for PFDs, then hopefully this post has helped you get your answer. Keeping this information handy may help save your life and keep you on the right side of the law. Just make sure to familiarize yourself with other coast guard safety requirements to make your trip even more enjoyable. Also, remember to maintain your PFD regularly so it stays in good shape and gives you the best service.